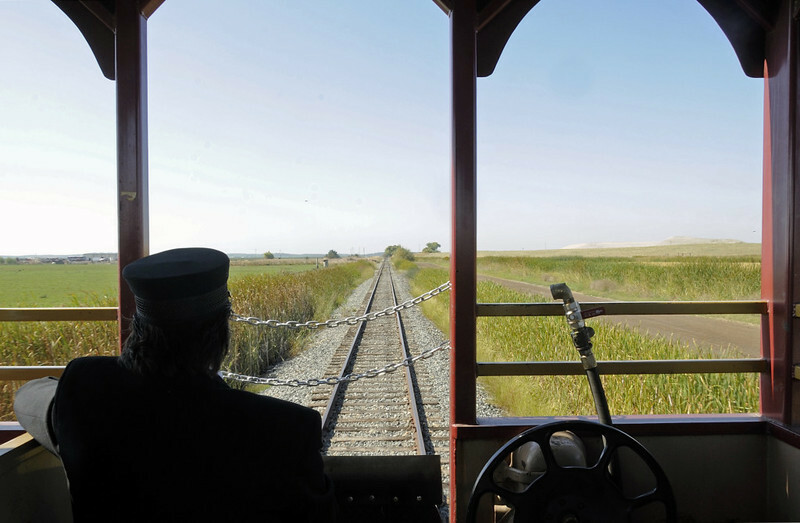 Conductor, Sierra dinner train, near Oakdale, California, Tues 18 October 2011. The conductor watches out as the train is pushed back to Oakdale. With irrigation, the 260 mile long San Joaquin Valley is one of the most productive farming regions in the world.